The couple became a symbol of America, the Jazz Age, and the Roaring 20’s. A southern belle from a wealthy family, Zelda was the model for the elusive Daisy that Jay Gatsby ever so longed for and could never quite grasp. So cheers today to Zelda, a proud woman who refused to live in her famous husband’s shadow. A writer like Scott, her novel Save Me the Waltz will never be as popular as his famous works, The Great Gatsby or Tender is the Night, but together they give us a true insight and picture of America. Zelda and Scott represent an America marked by talent and hard work, as well as mental illness, alcoholism, jealousy and depression. Both strived for the glam, the glitz, and the green light, and for a time they were in fact America’s power couple and seemed to have it all. But in the end, they were also real people, facing real problems and failures just like the rest of us. Their works share a common theme. They advocated reinventing your life, when necessary, in order to survive. What can be more American than that? 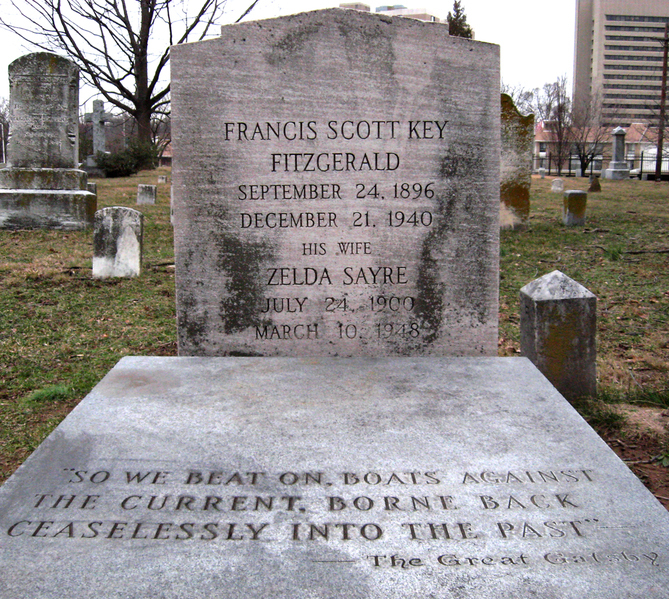 Pingback: Remembering Zelda Sayre Fitzgerald |Catching up with Patricia Gay | Hey Sweetheart, Get Me Rewrite! She wasn’t from a wealthy family. Hi Deborah. I had read that Zelda grew up in a wealthy and prim Southern family. Not so? ?